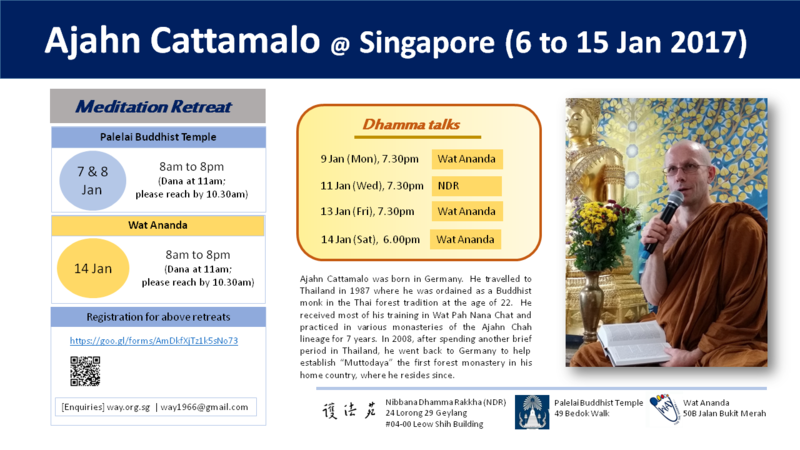 Ajahn Cattamalo will be in Singapore from 6 – 15 Jan 2017 to conduct a meditation retreat on 7 & 8, 14 Jan and a series of dhamma talks. Please reach by 10.30am for dana at 11am. Kindly register for the retreats via https://goo.gl/forms/AmDkfXjTz1k5sNo73 by 4 Jan 2017. Visit our website http://way.org.sg/ or our Facebook page WAY Singapore closer to the event dates in case there are changes. This entry was posted in Forest Way on December 31, 2016 by wayadmin. More details on overnight chanting will be shared shortly. 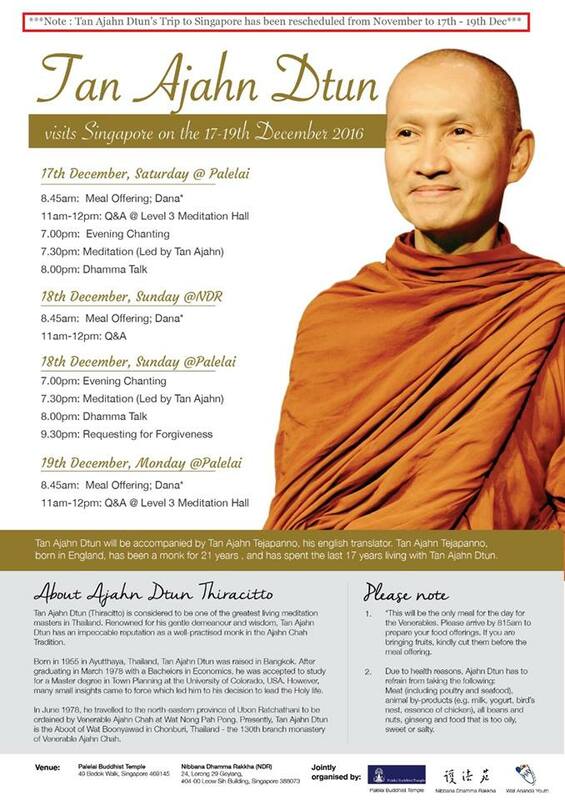 Pls refer to the enclosed poster for detailed schedule of Tan Ajahn Dtun’s visit. This entry was posted in Forest Way, Sunday Morning Service (SMS), Uncategorized on December 11, 2016 by wayadmin.